The purpose of The Jimmie Heuga Center Endowment is to support Can Do MS’s strategic activities and lifestyle empowerment programs, now and in perpetuity. The Endowment is a 501(c)(3) organization separate from Can Do MS. The Jimmie Heuga Center Endowment was created in 1997 to ensure the longevity and financial stability of Can Do MS, formerly the Jimmie Heuga Center. The Endowment was the inspiration of Waldon (Brock) and Evalyn Byers, long-time supporters of Can Do MS. The Endowment continues to grow under the leadership of the Endowment Board of Directors. 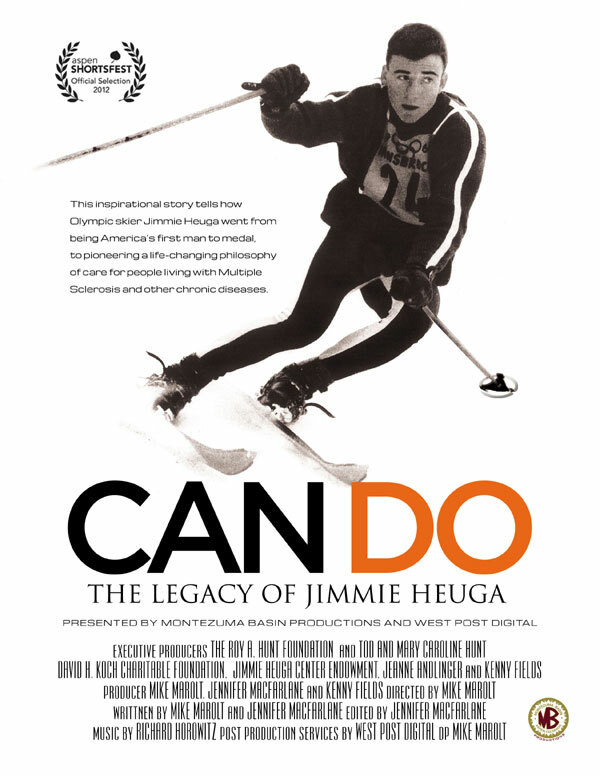 Can Do: The Legacy of Jimmie Heuga documentary is complete. This documentary film is being submitted to various film festivals around the country. Film premiers are being planned for 2012. Please check back for more information.